Nelly in Montreal or Quebec City? Inform me about the next events for Nelly. Enroll yourself to our priority waiting list for Nelly to be alerted when new tickets are available. Filling this form doesn't engage you to any purchase. 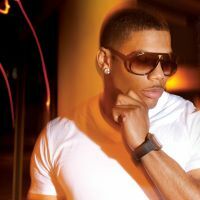 The american hip hop artist Nelly is coming to visit the Montreal Metropolis on march 25th 2011. He's coming to present is new album, 5.0, release in 2010. You can hear on that record the radio succes Just a dream.